Alcoholism and problem drinking cost the US economy billions of dollars a year in criminal justice system costs. Unfortunately, drinking alcohol can significantly impair a person’s judgment and lower their inhibitions. This effect can lead to a host of adverse consequences. 28% of all traffic-related deaths are a result of drunk driving. 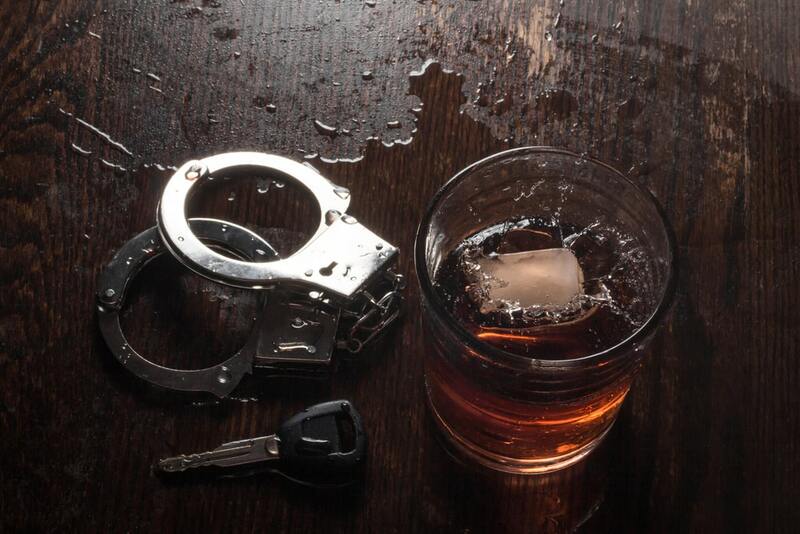 One million people per year in the U.S. are arrested for driving under the influence or DUI. But does a DUI arrest always signal that a person has an alcohol use disorder? And where can someone go for help after a DUI arrest? The following article will explore DUI arrests and assistance for DUI convicts in detail. Most states in the U.S. define set, hard limits for the amount a driver can legally have in their bloodstream before the authorities consider the driver impaired. A blood alcohol level, or BAC, over .08% is considered over the legal limit. If a driver is caught with a BAC at .08 or above, they will be arrested and charged with a DUI. For drivers caught with BAC levels at .06 and .07, they are considered intoxicated and will be charged with driving while impaired, or DWI charge. A DWI is less severe than a DUI, but it is still considered a serious charge. When arrested, drivers are taken to jail, booked, and their vehicle towed. In many cases, a DUI arrest is an automatic license suspension. What are the legal repercussions of a DUI arrest? The criminal justice system takes DUI and DWI arrests very seriously. Driving while impaired risks serious bodily harm and injury to the impaired driver, their passengers, pedestrians, and other vehicles. 17% of all alcohol-related crashes involve the death of a child. Thousands of innocent people every year are seriously injured or killed in drunk driving accidents. When someone is charged and convicted of a DUI, there are many severe restrictions imposed on their ability to operate a motor vehicle. Legal repercussions can vary by state, and if the driver has a history of DUI-related arrests and motor vehicle crashes. But even first-time offenses come with hefty fines and other restrictions. In California, a single DUI conviction will stay on a person’s driving record for ten years. This conviction can significantly increase a person’s insurance rates. DUI penalties in California vary depending on the driver’s age and how many DUI offenses they have on their record. People under 21 arrested for DUI will lose their license for up to a year. They will also face criminal charges, hundreds of dollars in fines, and must attend a DUI class. First-time offenders can expect an automatic license suspension for at least four months. They risk going to jail for up to 6 months. First-time offenders may have to pay up to 1000 dollars in fines and other penalties, not including attorney costs. It also costs money to re-issue a license once it has been suspended. Drivers will also have to install an ignition lock on their vehicle and have them participate in a DUI program. The length of the program will depend on the arrestee’s BAC levels. For drivers with multiple convictions, they will have a license suspension of up to a year, and additional monetary fines and penalties. They will also have to participate in a DUI program for a longer duration and may be sent to jail for more than six months. What kind of help should someone get after a DUI arrest? It’s crucial that people arrested for DUI hire a qualified, drunk driving attorney to represent them. An attorney can keep arrestees out of jail and get their fines lowered. Many states also require drivers to undergo an evaluation for alcoholism after a DUI arrest before they will reinstate driving privileges. Most states will have those arrested for DUI evaluated by a drug and alcohol counselor to determine the extent of the problem. In many cases, DUI arrests are simply the result of problem drinking and poor choices. But sometimes, a DUI arrest can point to an alcohol use disorder. It’s critical that DUI offenders struggling with alcoholism attend rehab. Are DUI arrests always linked to alcoholism? One-third of all drivers arrested for a DUI are repeat offenders. Multiple DUI convictions and arrests point to a more serious issue, such as alcohol use disorder. One of the hallmark symptoms of alcohol abuse and dependence is an inability to stop drinking despite negative consequences. Not everyone arrested for a DUI is dependent on alcohol, but a significant minority of DUI arrestees have had multiple run-ins with the law as a consequence of excessive drinking. Most states, California included, require drivers to attend DUI and drunk driving classes after an arrest. These classes are required regardless of whether or not the person has an addiction to alcohol. But, if an alcohol evaluation counselor finds that the driver has a dependence on alcohol, the length of the class or the number of classes may be increased. Drunk driving classes, however, are not the same as alcohol rehabilitation. While education is important for understanding the severity of the crime, it does not treat the disorder. To stop the cycle and the risks associated with drunk driving, it is imperative that people arrested for DUI with alcohol use disorder get prompt, integrated treatment for alcoholism. What can alcohol treatment programs do for people arrested for a DUI? A DUI arrest is a serious charge that causes a lot of problems for the arrestee. No one wants a DUI charge. Multiple offenders have a serious problem controlling the amount of alcohol they drink, and the choices they make when they are drunk. It is critical that these repeat offenders have access to treatment and also integrated aftercare programs. Without treatment, these people are at high risk of injuring themselves or others from drunk driving. Many states require that DUI arrestees with an evaluated alcohol problem receive treatment before their driving privileges are reinstated. If you’ve been arrested for a DUI, it’s vital that you seek treatment for alcoholism.